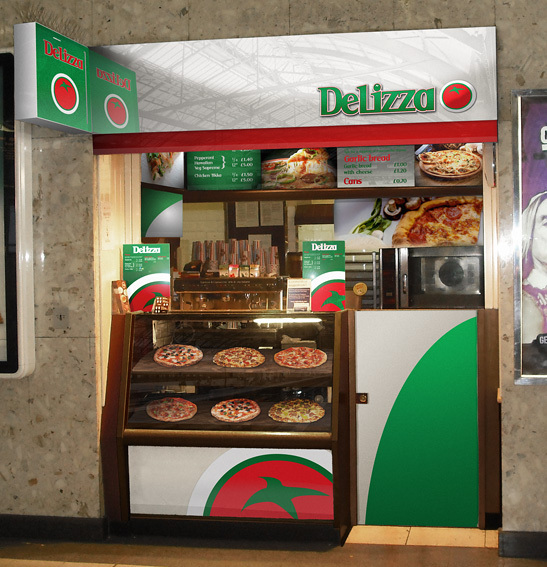 At Delizza we prepare hot, fresh Pizza and Pasta and Pannini in a traditional Italian style with the Pizza being sold by the slice or as a whole as you could see in Naples and New York straight out of the oven to the customer, using fresh dough and the finest ingredients available. Since commencement of trade in Leeds in 2008, we have become massively popular with a range of customers from children and students to office workers and business people. Why? Because we want to offer great value, fresh food that everyone can afford as either a lunch or a snack on the move. As part of a carefully planned expansion process, we are now looking for additional premises from which to operate. 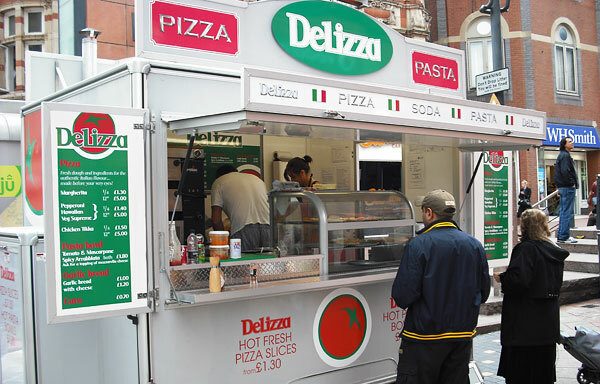 A typical DeLizza business can operate from within a unit of size from only 75ft2 up to 250ft2 but are happy to discuss any availability. Preferred locations include high street, indoor shopping centres and transport hubs including city train stations and airports. Please contact Martin Whyment on 07866 520648 or email on martin@delizza.co.uk if you have, or know of any suitable availability.